There's something about St. Patrick's Day that I get really excited about. Maybe it's because it's the holiday that comes out of nowhere to let you dress up for a day, or because I'm a fan of corned beef. Either way, it's great way to have fun in the middle of the week and celebrate leprechauns and pots of gold. This is also one of the easiest holidays to make fun lunches for. You can get detailed or go simple. As long as you throw some green in there, it's festive. 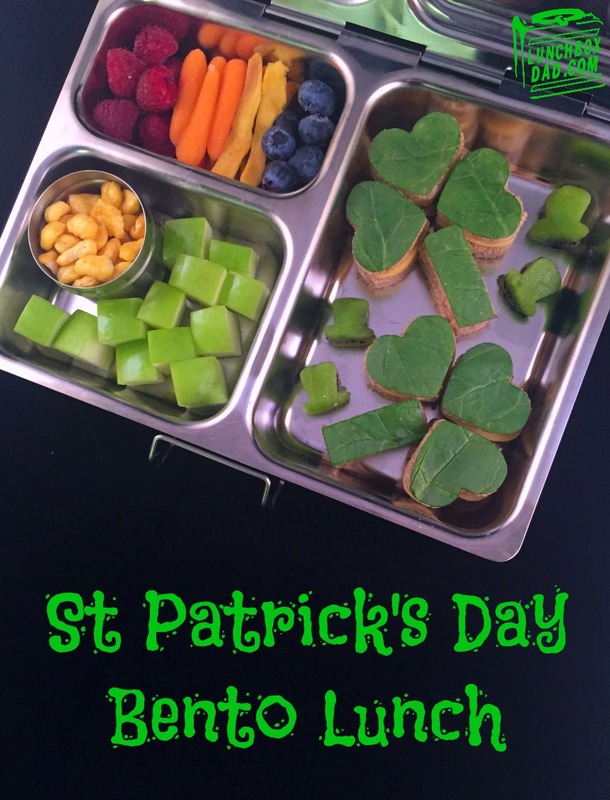 Today I made my daughter a St. Patrick's Day lunch a little early. No harm in that, right? It;s complete with a shamrock sandwich and pot of gold at the end of the rainbow. I packed it in a Planetbox Launch container. 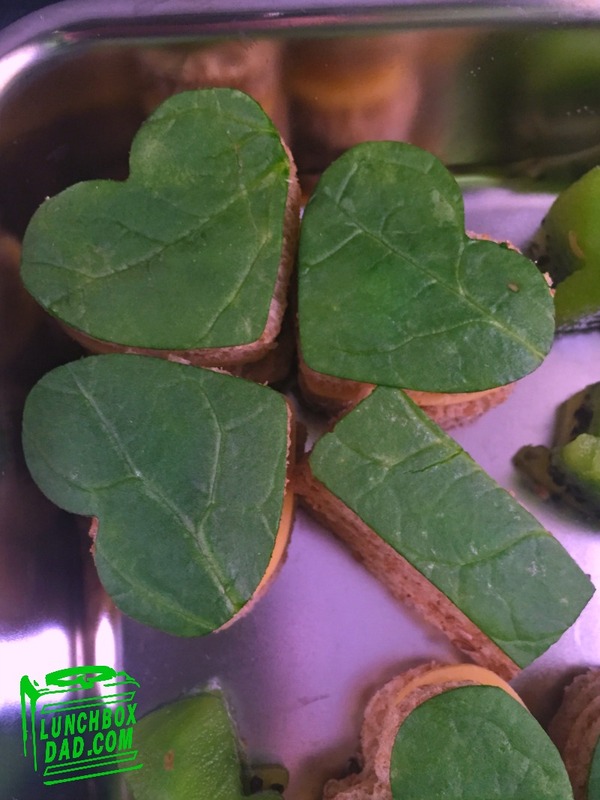 Remember to follow me on all my social media channels for even more fun St. Patty's Day ideas I will be sharing! 1. Arrange your rainbow fruits and vegetables in a side dish. Use whatever variety your child is likely to eat. 2. In a second side dish place a small bowl with some "gold" cereal in it. To hold the cereal I used, I just used Planetbox's container that came with the lunchbox. Surround with some sort of green food. I used green apple chunks. 3. In another dish put your shamrock sandwiches and leprechaun hats. These were very easy to make. 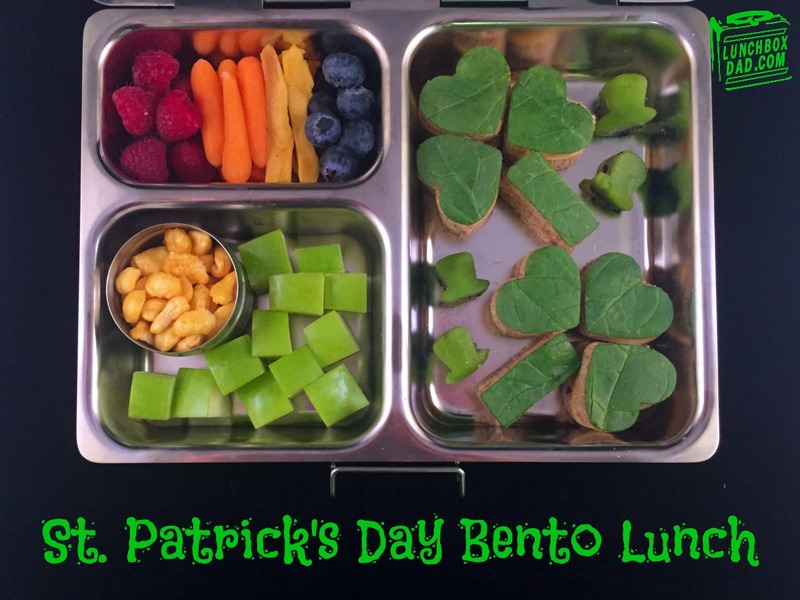 I used a vegetable cutter from Bento USA to make the kiwi leprechaun hats. 4. For the sandwiches, I just used a small heart cookie cutter. I cut out pieces of bread, cheese, and spinach. It only took a couple minutes from start to finish. You can use whatever you want in the sandwich, however. I also used a very small dab of cream cheese to hold the sandwiches together. 5. Have a happy St. Patrick's Day!